Love teaching? Want to help students learn and grow! Awesome! But do you know what kind of teacher you're going to be? That's the hard part, use this quiz to help! These questions will ask about school, your personality, why you want to teach, and more in order to reveal what type/kind of teacher you should become. 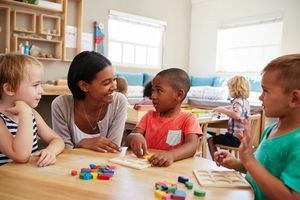 This quiz will allow you to share your passion for teaching and your passions and help narrow down the exciting field of education to one attainable goal.